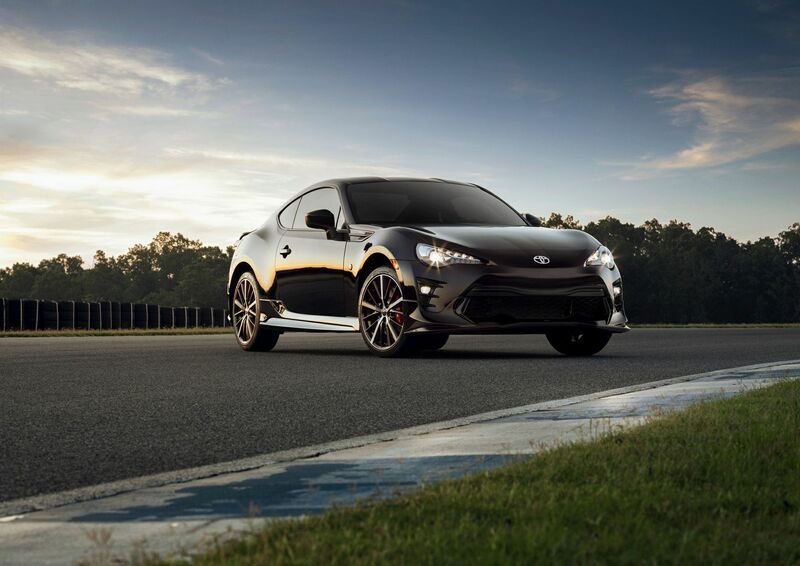 Experience the exhilaration that comes when you slide behind the wheel of a powerful sports car like the 2019 Toyota 86 TRD Special Edition. This two-door model offers premium performance, classic design and superior safety while seating four comfortably. While the 86 is a stylish sports car, the 2019 Toyota 86 TRD Special Edition takes the design a step further. This model is available with the exclusive Raven body colour. Other distinct features include 18-inch aluminium alloy wheels with Brembo brakes. 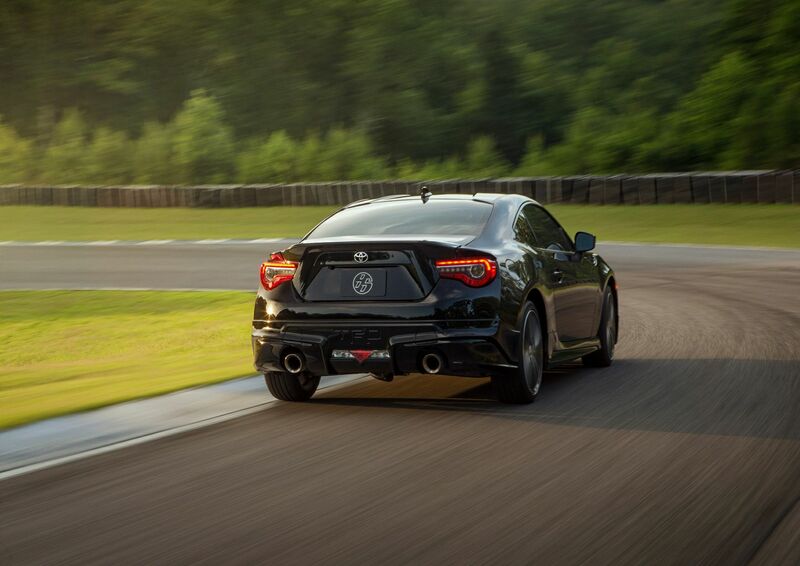 Enhancing the sporty look is the TRD dual exhaust along with a TRD aero kit and badge. 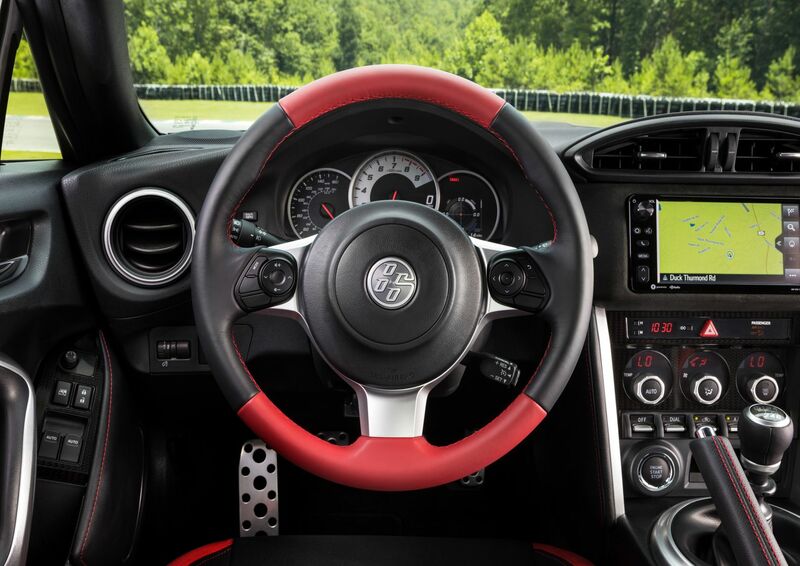 Elegant design continues inside the 2019 Toyota 86 TRD Special Edition with TRD interior trim. The cabin and steering wheel feature red accents while the seatbelts are also red. Aluminium sport pedals come with rubber inserts for a better driving experience. Modern systems keep you safe, connected and entertained in the 2019 Toyota 86 TRD Special Edition. This model features Bluetooth capability as well as a seven-inch display for all your information. Listen to your music in style with the audio system and eight speakers. Dual climate control ensures both the driver and the front passenger are equally comfortable for the ride. Enhance the look and function of the 2019 Toyota 86 TRD Special Edition with the right Toyota accessories. Add the TRD performance air intake to keep your hard-working engine cooler. Have the TRD lowering springs installed to reduce the centre of gravity for a more aggressive look and improved on-road performance. You’ll enjoy the dash camera which lets you record what’s happening on the road while you drive. All these and other accessories are designed to work with your model. Power for the 2019 Toyota 86 TRD Special Edition comes from a 2.0L 4-cylinder engine for agile performance and a thrilling ride. This rear-wheel-drive car comes with a six-speed manual transmission for precise control. Loaded with features like traction control and Torsen limited slip differential, you can feel confident about the way it handles. The 2019 Toyota 86 TRD Special Edition is a practical choice for a sports car. Feel secure behind the wheel of the 2019 Toyota 86 TRD Special Edition with the standard and optional features available. Drive with confidence, knowing the 2019 Toyota 86 TRD Special Edition is backed by Toyota’s exceptional warranty. If you’re looking for something unlike everything else out on the road, give the 2019 Toyota 86 TRD Special Edition a second look. This sports car offers fun and function, comfort and style all in one sleek package. Check out the 2019 Toyota 86 TRD Special Edition at your local Edmonton Toyota Dealer – Gateway Toyota. Come on in and talk to the friendly staff about any questions you have. Gateway Toyota proves you can have it all when you find the right car.